Honda Racing’s Jason O’Halloran is back into physical rehab after the Snetterton Bennetts British Superbike round where his comeback from injury lasted one corner. O’Halloran was taken out by rookie Andrew Irwin in the second corner of the first lap in race one, and was forced to sit out the rest of the weekend. 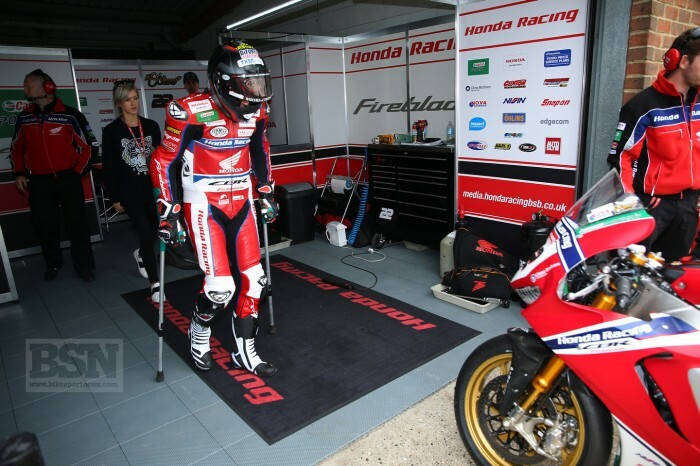 It was the first time back for the Australian after his Imola WorldSBK crash and he was still having to use crutches to get to his Fireblade. “Unfortunately I was taken out on the second corner of the first lap and was declared unfit for the second race. 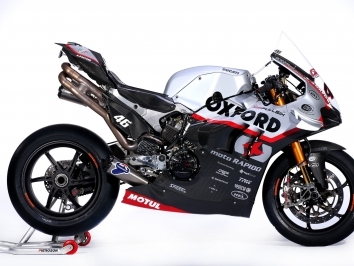 I am majorly disappointed, it’s been a crazy five weeks to even get here and then to just miss out on Q3,” said O’Halloran. “We had pretty strong pace and I was feeling good coming into the race and hoping to score some points. It’s disappointing not to finish and not to be able to take part in the second race, but sadly this is bike racing and sometimes it doesn’t always go to plan.